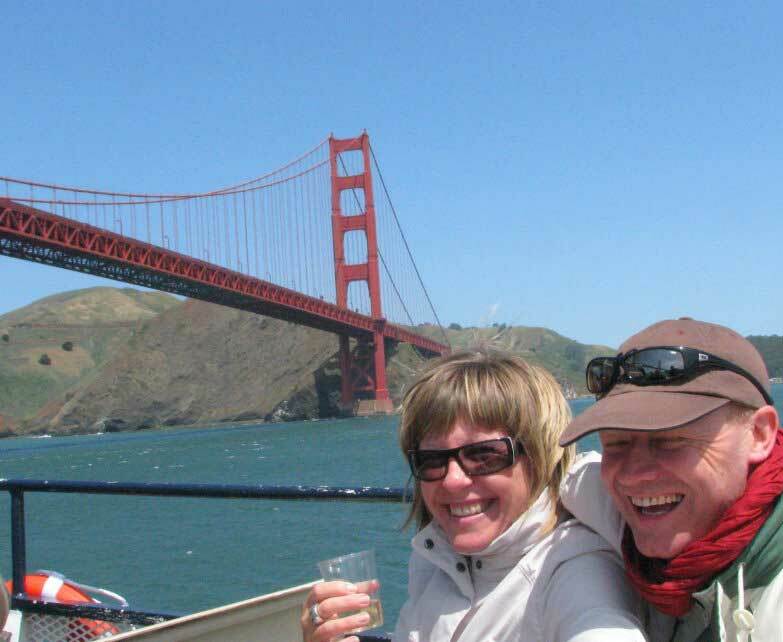 Make the most of your San Francisco vacation and book this 6-hour combo adventure and enjoy a private, guided and personalized tour of San Francisco, sailing around Alcatraz Island and under the Golden Gate Bridge. 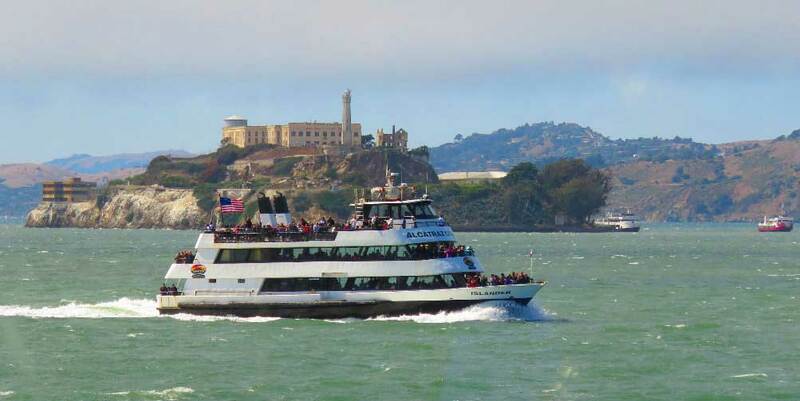 Following your private city tour in a luxury vehicle with a private local tour guide, you will sail around Alcatraz Island by ferry boat - the perfect trip in the San Francisco Bay when Alcatraz tickets are sold out - as you get to sail around this iconic Island. 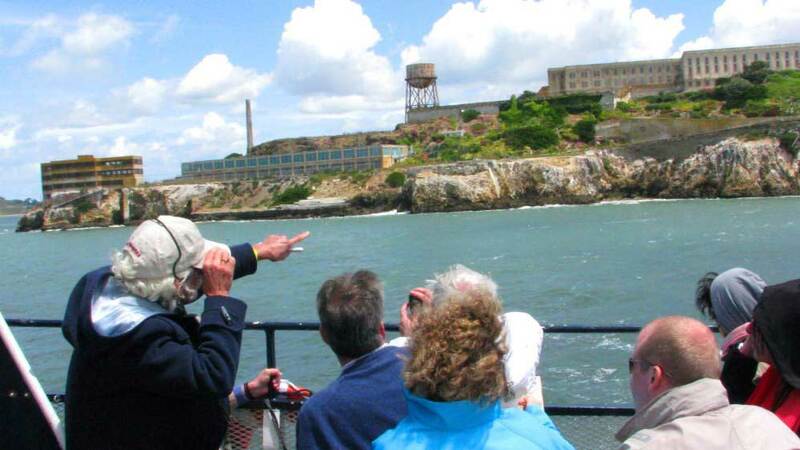 Book this combo custom adventure and see every angle of Alcatraz Island and prison ‘The Rock’, while listening to chilling and intriguing stories about this maximum-security federal prison. How could anyone manage to escape from this remote island standing like a fortress setting in the middle of San Francisco Bay? Lean more about the legendary ‘The Great Escape from Alcatraz’. Did John and Clarence Anglin and Frank Lee Morris survive this daring escape? 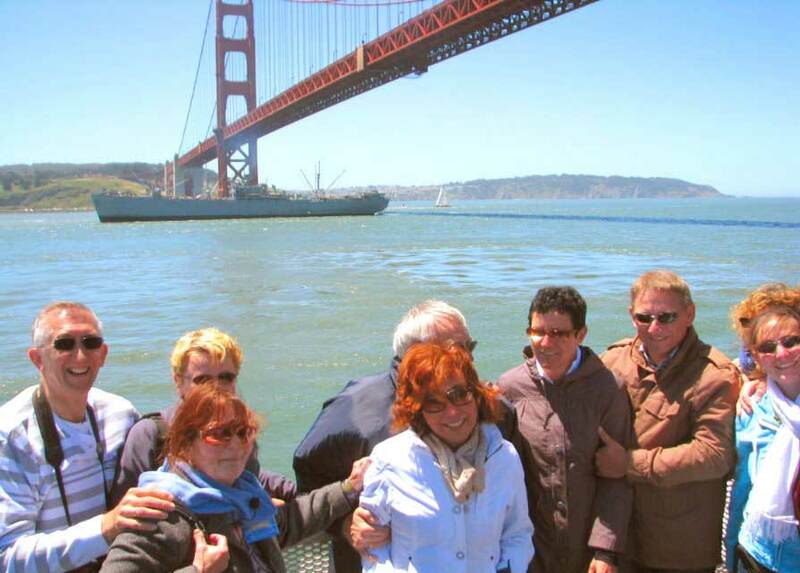 Make the most of your San Francisco vacation and book this combo adventure and enjoy a private 4-hour guided and personalized tour of San Francisco, and then sail around Alcatraz Island and the Golden Gate Bridge, for about 60 to 90 minutes. After a private meet and great at your home, hotel or pick-up location in San Francisco, your personal tour guide will offer you a comprehensive four-hour private guided city tour, tailored to your itinerary and preference. Why book a private city tour by SUV of ‘The City by the Bay’? San Francisco is defined by its European lifestyle, microclimate, eclectic architecture, rich history, and steep topography. The abundance of San Francisco’s steep rolling hills characterizes the city’s unique topography, geography and dramatic landscape which made top Hollywood movie producers choose San Francisco as the shooting locations for iconic films. Many of these picturesque hills and narrows streets are prohibited to van and bus tours, including Lombard street, the crookedest street in California, but also sites like Alamo Square, Telegraph Hill, Baker Beach, Sea Cliff, 16th Ave, the Russian Hill famous for its steep slope home to Lombard street, a curvy one-way drive that runs east-west through this scenic hill. This is where our tour can save you all the hassle and effort of walking up and down hills. Our luxury vehicles and SUVs are very suitable to the nature of these steep hills and narrow streets. We will stop anywhere you want, so you can capture the stunning views and sights of San Francisco. 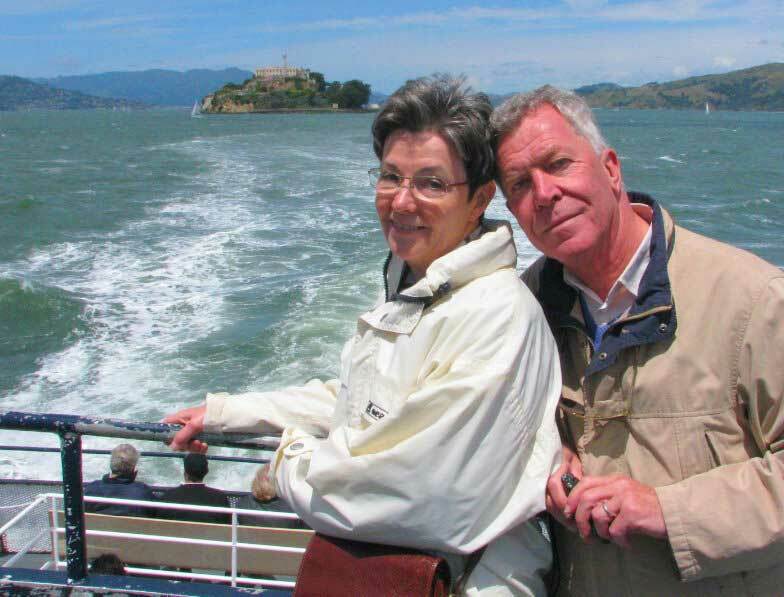 Following your private city tour in a luxury vehicle with a private local tour guide, you will be driven to the Fisherman's Wharf where we will check you in at the next ferry tour to embark on this bay cruise adventure that will take you around Alcatraz Island. This ferry tour will sail in the San Francisco Bay, under the Golden Gate Bridge and around Alcatraz prison. 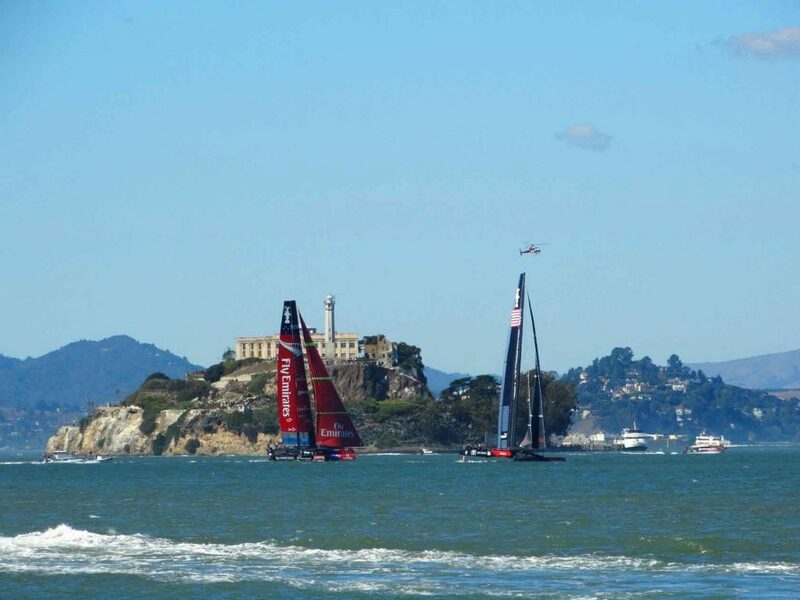 -Please Note that this cruise does not land on Alcatraz Island but goes around it. 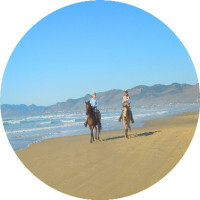 Join us and enjoy a personalized private trip tailored to your needs and expectations. We will meet you at your hotel in San Francisco around 9 am and take you on a discovery city tour of San Francisco’s top attractions, landmarks, parks, and monuments. You will visit amazing sights like the Golden Gate Park, Ocean Beach, stunning landmarks like the Golden Gate Bridge, Coit Tower, the Palace of Fine Arts in Marina District, Historic Presidio, and distinguished neighborhoods like Chinatown, North Beach known as ‘Little Italy’, Haight-Ashbury, and the Billionaires Row of Pacific Heights. You will enjoy several photo stops along the way, at each site and landmark of your choice. This is a private and guided tour, so you can interact with your personal guide and ask questions to understand the story of each sight as you drive along the way. 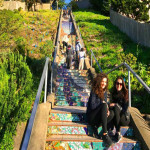 Among other places you will visit include the stunning Twin Peaks overlook, Castro area, Civic Center, Union Square, Nob Hill, and the Fisherman's Wharf where you embark on a ferry trip and sail into the San Francisco Bay and around Alcatraz Island. Following your private city tour in a luxury vehicle with a private local tour guide, you can enjoy this new and exciting adventure that will take you around Alcatraz Island by ferry. Your driver-guide will drop you off in the heart of the Fisherman’s Wharf, at Pier 39 where we will redeem your bay cruise tour vouchers so you can sail around Alcatraz Island by ferry. You will embark on the next available bay cruise ferry trip into the San Francisco Bay. This ferry trip can last up to 90 minutes and is subject to availability. It departs twice per day only, so we need to consider the time with our scheduled itinerary. Boarding the ferry is on a first-come, first-served basis as they do not take seat reservations. 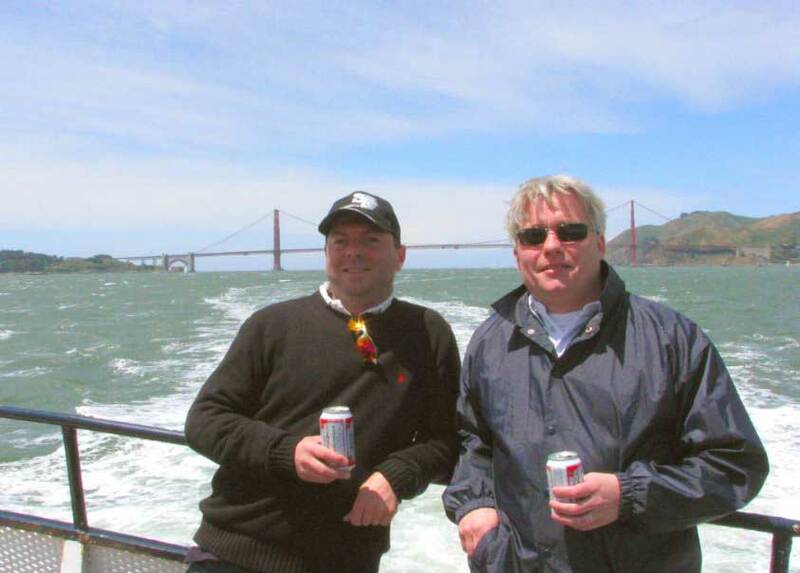 When this ferry trip is sold out, we reserve the right to book you on the regular bay cruise tour that lasts 60 minutes which follows pretty much the same itinerary, but the focus is not only on Alcatraz, but also the story of San Francisco sights. Some ferries may have tour narrations, while others don’t. It depends on the ferry and the season, and some even have it in various languages, available on a smart phone app you can download as you board the ferry. We recommend an overnight in the Fisherman’s Wharf area resorts or hotels, so you can take this ferry tour later in the day or the next day, in case it’s not available on that day. The ferry tickets we offer you are official tickets, so it can be used at any time during your stay in San Francisco. 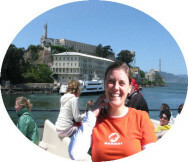 This is the perfect trip in the San Francisco Bay when Alcatraz tickets are sold out. 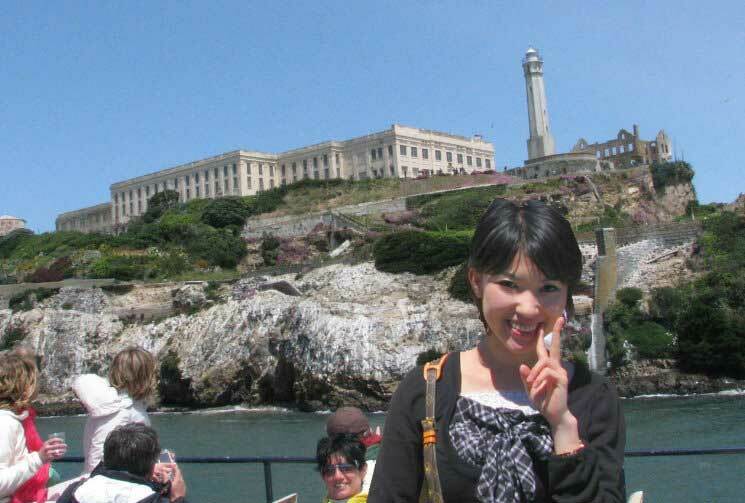 Book this combo custom adventure and see every angle of Alcatraz Island ‘The Rock’, while listening to the chilling and intriguing stories of this maximum-security federal prison. How could anyone manage to escape this island standing like a fortress in the middle of San Francisco Bay? Join our passionate tour guides and learn more about the legendary ‘The Great Escape from Alcatraz’. Did John and Clarence Anglin and Frank Morris survive this daring and historical escape from Alcatraz prison? 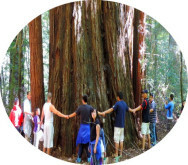 This is a fascinating trip and an interesting way to enjoy the sights of the city skyline, the scenic hills of the city and sail along beautiful places like Angel Island, the Golden Gate Bridge, San Francisco Marina, and the Fisherman’s Wharf. Next to the ferry, where your bay cruise trip starts and ends, is located the famous Pier 39 - a top destination and popular tourist attraction - built on a pier in the Fisherman's Wharf of San Francisco. 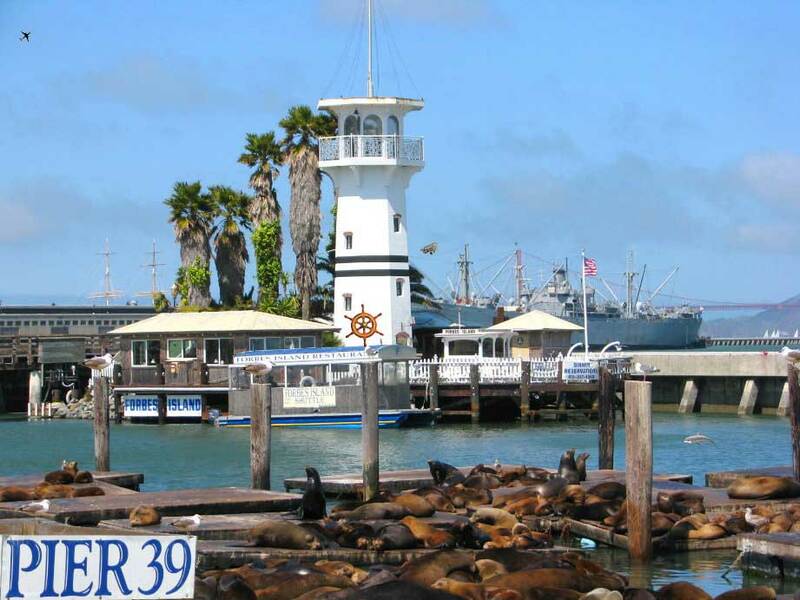 At Pier 39, there are shops, restaurants, a video arcade, street performances, the Aquarium of the Bay, virtual 3D rides, and views of California sea lions hauled out on flatting docks on Pier 39's marina. From the pier, one can see Sausalito, Treasure Island, Angel Island, Alcatraz Island, the Golden Gate Bridge, and the Bay Bridge as well. You may want to consider staying at one of the hotels in the Fisherman's Wharf area, and away from the traffic and construction in downtown. Some of the famous hotels located in Fisherman's Wharf include the historic Argonaut Hotel, San Francisco Marriott and Courtyard, the Sheraton, the Best Western Tuscan Inn, the Fairmont Heritage Place at Ghirardelli Square‎, and the Holiday Inn among other many hotels in the area. 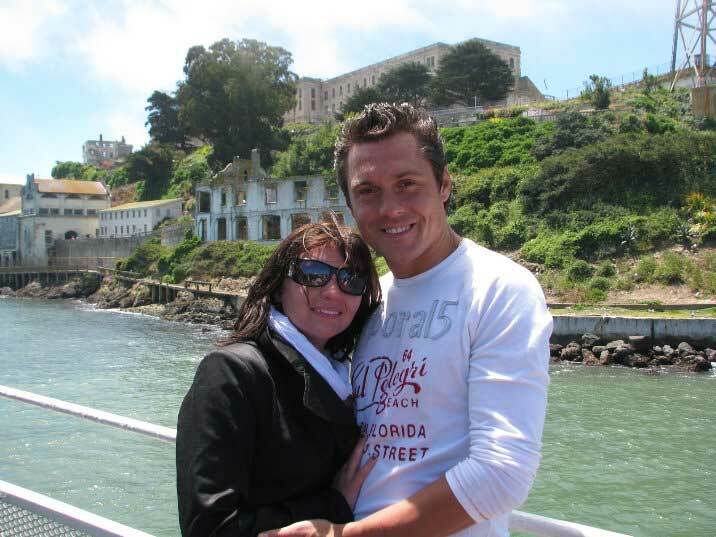 -Please Note that this cruise tour does not land on Alcatraz Island but goes around it. -Following your private city tour in a luxury vehicle with a private local tour guide, you will enjoy this new and exciting adventure that takes you around Alcatraz Island by ferry. -After your private city tour, we will drop you off at Pier 39 at Fisherman’s Wharf, where your ferry trip starts and ends. We do not include your drop-off at your hotel as stated above after the bay cruise tour. -This ferry trip can last up to 90 minutes and is subject to availability. It departs only twice per day and boarding on the ferry trip is on a first-come, first-served basis as they do not take reservations. When this around Alcatraz cruise ferry trip is sold out, we reserve the right to book you on the regular bay cruise tour that lasts 60 minutes, no refunds or adjustment will be made as this is out of our hands and question of availability as they do not take reservations, and only depart twice per day expect in winter. -Some ferries may have tour narrations, while other don’t offer it. This depends on the ferry and the season, and some even have it available in various languages on a smart phone app you can download as you board the ferry. 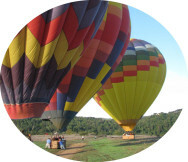 -Schedules and dates are subject to change, cancellation and availability depending on the season and weather conditions. San Francisco's weather is strongly influenced by the cool currents of the Pacific Ocean on the west side of the city, and the bay of San Francisco is often subject to wind and heavy fog mostly in summer and lots of winter rain. Dress in layers and expect a cool and foggy afternoon. -Winter schedule is very restricted and subject to weather conditions (many departures are cancelled due the rain and fog). We do not issue any refunds as this is beyond our control, but you may use these ferry bay cruise tickets the next day, if you go on your own to the ferry terminal, located at Pier 39/41. -Advance Booking is required as we do not offer last minute tours. -We apologize, but we do not allow pets on board of our vehicles and these are also not equipped for disabled or wheelchair accessibility. -Indoor seating in the ferry is covered with weather-proof windows with protection against wind, rain and salt water. Outdoor seating is available on secure, safe and railed-off sections of the deck. -There is a snack bar available on the boat that sells a variety of alcoholic and non-alcoholic beverages. Also available are hot dogs, chips and other snack foods. You can also dine either before or after the ferry tour in this very popular area of San Francisco. -A free multi-language audio tour may be available, but not guaranteed, on some ferry tours which could include English, Spanish, Mandarin, Italian, French, Japanese, Korean, German & Taiwanese. Please bring your Wi-Fi enabled smartphone device to access the tour commentary; headsets will be provided based on availability. 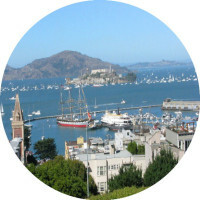 What's Included in this San Francisco city 4-hour tour+ bay cruise in San Francisco bay and around Alcatraz Island? All applicable taxes, San Francisco city 4-hour private and guided tour in a luxury vehicle, complimentary pick-up and drop-off in San Francisco downtown, Fisherman's Wharf, and surrounding areas or neighborhoods, but not outside of these areas. Bay Cruise tickets. Meals, Driver's gratuity tips (Gratuities are recommended and customary in the USA at 15%-20%), and entrance tickets to any optional site(s) or monument(s). The drop off at your hotel after your bay cruise is not included to keep the cost down, so you enjoy a free afternoon in famous Fishman Wharf. 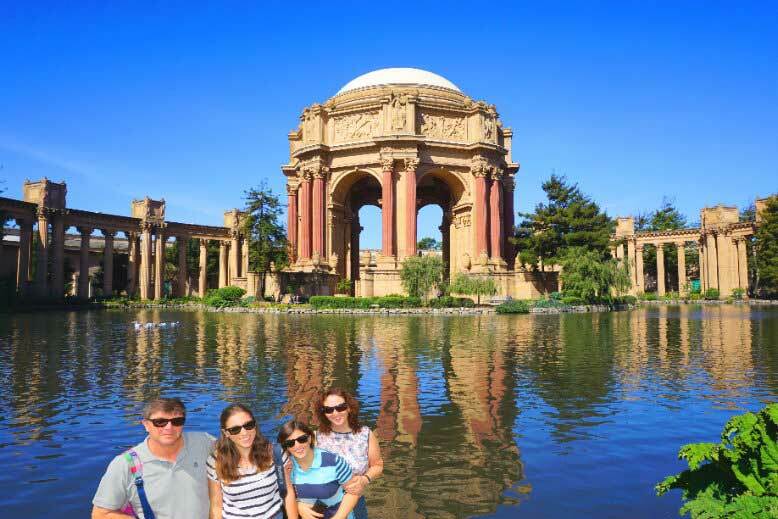 -For time considerations, we don't drive across the Golden Gate Bridge on the half-day tour, but we do include it on our full-day San Francisco city tour.